You can create a stepped curve to hold the same value over a selected number of frames. This works well when you are animating drawings on 2s, for example, and you want to hold the same value for a function over those two frames. Click the Hold Value Editor button. Start: The starting frame for the effect. Stop: The last frame for the effect. 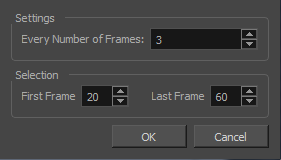 Step: The number of frames to hold the value. You can reshape the curve to create a linear velocity, so the values are interpolated (tweened) consistently between keyframes. That is, there is no acceleration in the effect. In the Settings section, enter the hold value by changing the number in the Every Number of Frames field. In the Selection section, enter the first and last frame numbers to define the selection range. NOTE: The playhead location determines the lowest value you can enter for the first frame, when defining the selection range. You need to move the playhead to frame one if you would like to set frame one as the lowest possible starting value. 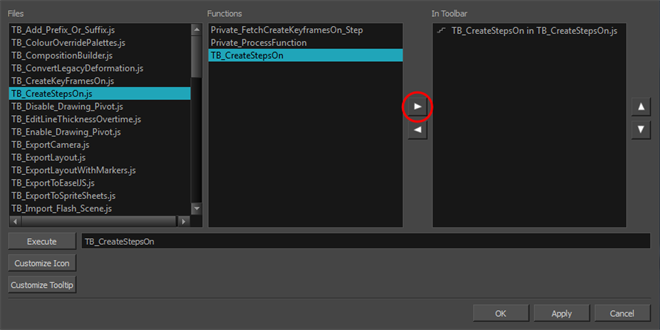 In the Timeline view, expand the layer properties of the selected layer by clicking on its plus button. 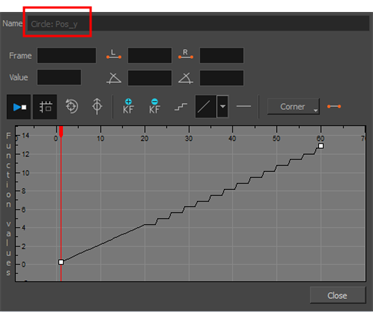 Double-click on a parameter layer to open its Bezier Editor. If that parameter was animated, the 3 frame hold from frame 20 to 60 was applied. In the Bezier Editor, click on any of the keyframes to bring up the bezier point handles and use them to reshape the velocity curve for that parameter. This means that multiple parameters can have the same stepped velocity, but have different ease-in ease-out curves defining that velocity.